The Turkish government arrests 200 of the most prominent leaders of the Armenian community. Most are subsequently executed. This is the day on which the Armenian genocide is commemorated. The Easter Rising. Irish rebels launch a rebellion against British colonial rule. They seize key buildings in Dublin and declare an Irish Republic, independent of Britain. The rising is suppressed after six days of fighting, and the key leaders of the rebellion are executed. Nevertheless support for independence continues to grow in Ireland, leading to another declaration of independence in 1919, and an Anglo-Irish Treaty in 1921 recognizing the Irish Free State. Mass Trespass on Kinder Scout. Hundreds of ramblers set out on an organized mass walk on the Kinder Scout highland plateau in the Peak District of northern England. They are defying the private property rights claimed by the Duke of Devonshire, who forbids anyone from walking on ‘his’ vast estate, which includes all the hills and plateaux in the area. The trespassers, many of them members of the Communist-initiated British Workers’ Sport Federation, insist that working people should have the right to walk freely in the countryside near where they live. The trespass campaign continues: a few weeks later, 10,000 ramblers assemble in Winnats Pass to demand free access to the countryside. 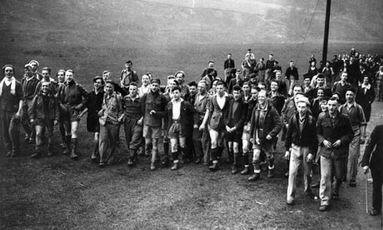 Finally, in 1949, the Labour government passes legislation creating national parks in some areas and setting up access agreements for other areas of open country, including the Peak District where Kinder Scout is located. Access rights are further expanded by the Countryside and Rights of Way Act of 2000. 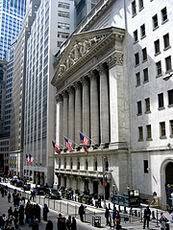 A small group of protesters, including Abbie Hoffman, cause chaos on the New York Stock Exchange by throwing down fistfuls of both real and fake dollars. Traders on the floor scramble to grab the money as quickly as they can. 500,000 people demonstrate in Washington against the Vietnam War; while another 150,000 demonstrate at a simultaneous rally in San Francisco.